Iranian authorities, in cooperation with four local banks, have launched the PayMon cryptocurrency, secured by gold reserves, to bypass international sanctions. At first, 1 billion PayMon tokens will be released, Trend reports referring to the banki.ru website. According to the website, financial institutions such as Parsian Bank, Bank Pasargad, Bank Melli Iran and Bank Mellat worked on launching the new payment instrument. It is expected that PayMon will be presented on the Iranian Fara Bourse over-the-counter platform. According to the director of the company Ghoghnoos Valiolla Fatemi, PayMon will also be used to tokenize the assets of financial institutions. 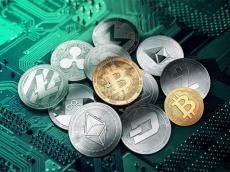 At the same time, cryptocurrency will help circumvent international sanctions and mitigate negative consequences for the economy, stemming from the refusal of SWIFT to cooperate with local banks.